Before starting, I searched thru the forum but couldnt find this suggestion. If this was suggested before Im sorry. Also, I was waiting for release of Tank Tree's to check out if they are at there or not. 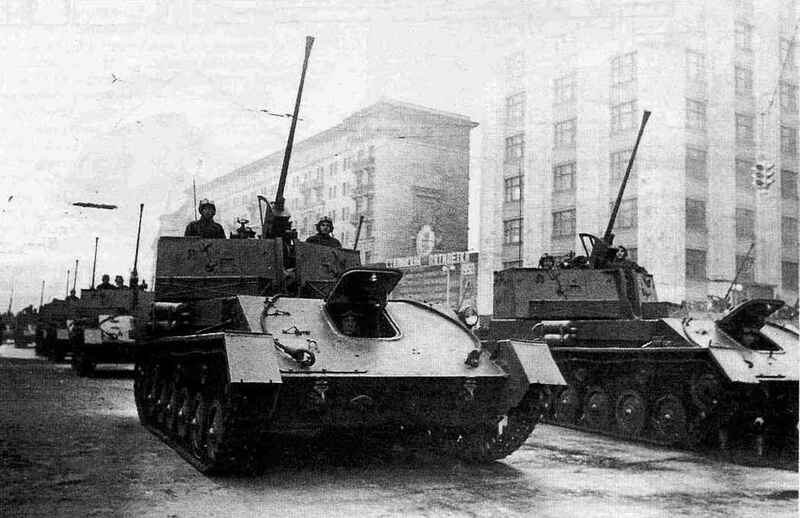 And I was going to post one by one but I thought that it would make a chaos so Im going to suggest every Self Propelled Anti Aircraft Tank from this thread. Hi! 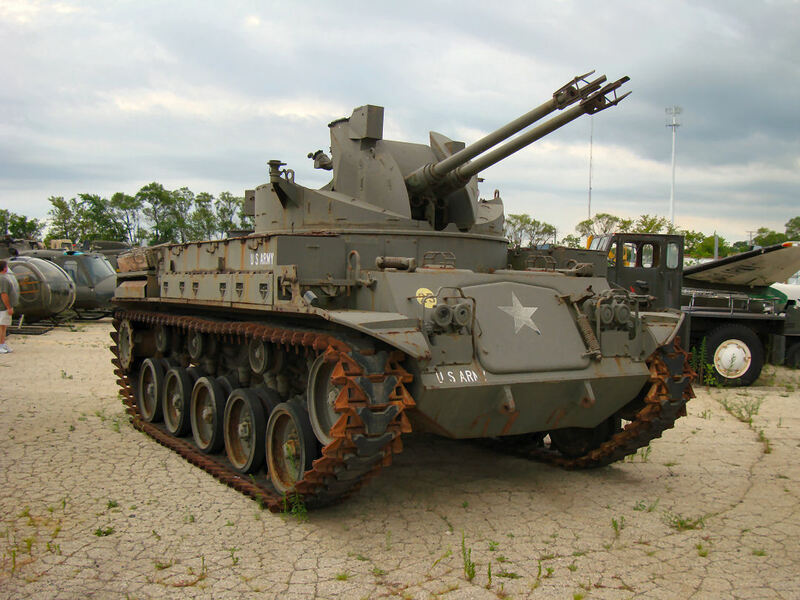 As you know, self propelled anti aircraft guns played a big role in WW2. As I say above, Im suggesting these vehicles to be added to Nations' Ground Trees. Some of these tanks are produced in mass numbers, some of them saw combat, some of them didnt, some of them are prototypes only. Let's start with my favourite, M42 Duster. Yeah, I know, it looks rusty. Edit: As said, Sherman skink isnt American. It's Canadian. So it can come to British or American tech tree as premium maybe? Crusader AA MkI, MkII and MkIII http://en.wikipedia.org/wiki/Crusader_tank It has some variations with several weapons. It has a heavy anti aircraft weapon + Turret to destroy enemy tanks incoming + It can swim! What would you need more! Type 98 Ta-Se 20 mm anti-aircraft prototype(Anti Aircraft version of Type 98 Ke-Ni light tank) http://en.wikipedia.org/wiki/20_mm_Anti-Aircraft_Tank_"Ta-Se"
I didnt put half tracks, because I dont know will Gaijin look good or bad to play us with half-tracks. Also, If you found some more anti aircraft tank(but between 1930's - 1953), post here and I would add it. Edit: Half-tracks were confirmed by Gaijin, will upload all the half-tracks to here soon. Location:Sneaking up behind you...Or buried under snow. Damn you Canada. Interests:Enjoys pickles coated with maple syrup. The current tank trees are preliminary. That being said, it is not the final release or fully intended. It can or may be changed in the future, so for now, think of it as a teaser-guideline. Since you put some effort in the post, i'm moving it to the General discussions thread for now. Wait till we get a more complete release tree(s) before throwing these kinds of suggestions down, 'kay? Yeah thats some effort OP, its pretty much confirmed that we'll be getting mobile aa, i for one can't wait to fill the sky with HE shells. Thanks for not deleting this. Okay, I will hold the other tank suggestions some more. 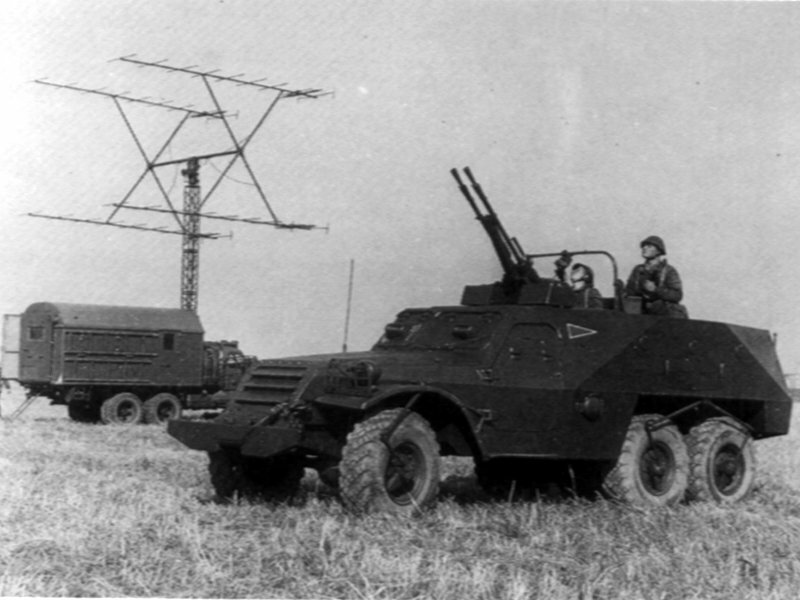 Does anyone knows about half-tracked ones? I can't imagine playing anything more intense: total situational awareness against both air and ground threats. And if you have a couple of larger AA guns, you can hurt tanks too. And it would be nicer teamplay. 2 guys playing tanks, 2 guys aa and everyone in a squad would get some kills. Less debate who gets what and more reward for helping each other. It is named by Centaur tank and it is on the list so no problem. Thanks for that but I meant that "does anyone know about will they accept half-tracs or not"
Totally agree to both of you. AAA: Now with F&F ricer drifting action. Location:In a ju 87 g2 burning wreck. Ok, I will add them(except Gustav of course) tomorrow to the list. If a wild cavalry charge appeared, that guy would be so effective. I also added another AA, Japanese Ta-Ha. I added Italian section too but I would have to give a better link about M15/42, I'm working on it. Edit: I also added Type 2 Kami Amphibious tank&Anti Aircraft. I wanted to add them but couldnt find a reliable source, actually I couldnt find any source for T52 AA. Need help over here. And this; (another picture of T52 AA which we can understand that gun is HUGE!